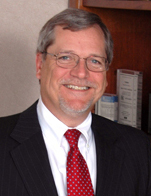 Larry is head of the firm's Maritime and Transportation Finance Group, a cross section of attorneys within the firm from the Corporate Finance, Corporate Securities, Litigation and Tax departments with expertise on matters of interest to clients in the transportation industry and is a member of the firm's Business Transactions Group. In such capacity, Larry has worked on matters ranging from the formation of joint ventures, asset finance transactions, secured and unsecured lending, registered and unregistered securities transactions, mergers and acquisitions and cross border leases to restructurings and bankruptcy. Larry has been cited in Euromoney's "Best of the Best", Chambers USA and Chambers Global, and The Best Lawyers in America, and Who's Who Legal 2009: Shipping and Maritime. Larry has also been recognized by Best Lawyers in the practice of Admiralty & Maritime Law in years 2006 - 2015, inclusive. Most recently, Larry was named one of the top 10 lawyers in the world in Lloyd's List One Hundred - The Most Influential People in the Shipping Industry. Larry received his J.D. from Columbia Law School in 1978 and his B.A. from College of the Holy Cross in 1975.